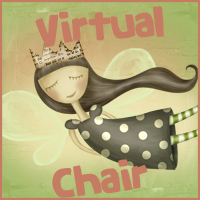 Sitting on the virtual chair today is Andrea from The Bookish Babe. I love her site and reviews. I remember reading her review of On the Island by Tracey Garvis-Graves and loving it so much I had to buy the book. Now On the Island is one of my favorite books of 2012! Follow her on Twitter and Facebook and don't forget to visit her awesome site. Describe your blog in 3 words. What’s your favorite not YA book? that's too hard to say. I loved On the Island by Tracey Garvis-Graves. Also the Just Breathe series by Kendall Grey. If you had a snail that could magically grant wishes, what would you name it? What is the funniest word you’ve ever heard? I used to read 2-3 at a time but now I.just read one. What’s your favorite indie book? I cannot answer that! I love too many indie books to pick. 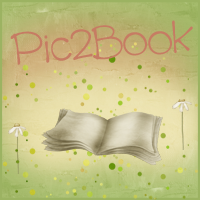 M. Leighton, Abbi Glines, Kendall Grey, Tammara Webber have written a few of my favorites. What song you hate, but can’t stop singing? We Found Love in a Hopeless Place by Rihanna. Its basically the same phrases sung over and over. Have you ever received a weird comment on your blog? Definitely. They are spam comments from other websites. They're so random and weirdly phrased that I laugh. I don't even delete. The love seat on my living room. But if the weather's nice, outside while my kids play. I think Snellie is a pretty badass name!! Thanks to Andrea for being awesome and answering my questions!! Feed Your Reader Hop and Ereader Giveaway!